If you’re looking for a family-friendly, exciting meal, then you’re in luck! Hibachi steak house is the place for you. The closest Hibachi to Villa Park High School is located on Fairmont Blvd. in Anaheim. It’s open on Monday - Fridays 11:30-2:00 and on Saturdays and Sundays from 5-10pm. 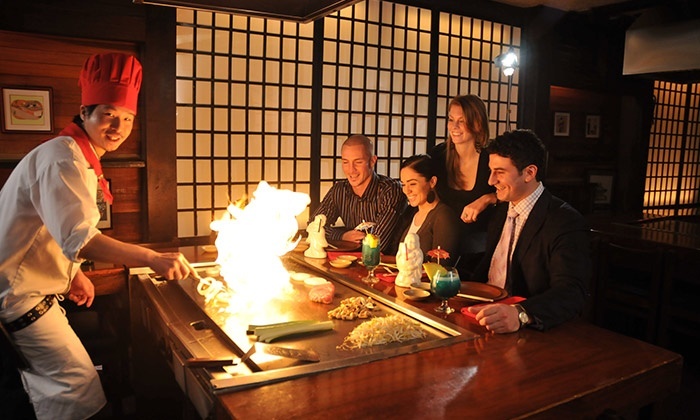 Hibachi is a Japanese restaurant that cooks right in front of you! It’s a very interactive experience perfect for any age. parking is sometimes a haste due to the tight and compact spaces. If you drive a larger vehicle, finding a big enough spot may be difficult. However, once you step foot in the restaurant, you are always welcomed by a happy face. Employees at Hibachi are always helping to ensure your meal is excellent. When workers are respectful and kind it makes the atmosphere very inviting. Another aspect that separates Hibachi from any other restaurant is their food. Not only is the food cooked right in front of you there’s always something to eat. Meals are brought out at different times so you are never sitting and waiting to be served. Prices for food may be too expensive for some with entree prices ranging from $14-$35, but you really do get what you pay for. If you’re getting the steak or shrimp or even the lobster, all are delightful and are cooked to perfection. The only other drawback is their bathrooms. They’re very small and unorganized which is a tad upsetting after recieving such high-class treatment. Overall, Hibachi has good food, good people, and can really bring families together. So remember, if you’re looking for an interactive, mouthwatering, memorable meal, Hibachi Steakhouse is the place to be.